It’s that time again! Time for me to reflect on the past year, and time for me to choose my One Little Word to guide me throughout the year ahead. You may remember this practice from a post last year. This year, I’m doing a bit more reflection than usual, and will engage with Ali Edwards in her One Little Word class. It will allow me to intentionally live and express my word and create something meaningful that will last a lifetime and beyond. But first, a wrap up. Last year’s word was Create and I feel like I want to remember a few things that stand out as I reflect on this word. I created an environment that inspired and supported my creativity. My office/studio is totally fresh and new, and I enjoy every moment I spend here. I created spaciousness in my closets and drawers and files and cabinets. And maybe even more importantly, I created spaciousness in my schedule. 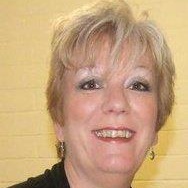 I created opportunities to build my business in new ways and increase my income. I created scrapbook layouts and mini albums for myself and for others. I helped to create Hygge in our home, and created beautiful spaces for us to enjoy every day. I created new systems and processes to manage the workflow, which inspired new systems and processes for the near year to come. I created opportunities to partner and create with others, to celebrate with friends and to enjoy the place we live and the places we love to visit even more. I created a deeper love and trust in my relationships, leaning in to my own authentic voice and listening for that voice in others. There’s even more, but I feel like you get the picture and I’ve documented enough to be able to reflect even more on this first day of a brand new year. When I am feeling enlivened, I am exhilarated and feel like I am operating at my highest potential. It’s a total elevation – a place I rise up to. And I think it is there that I am the most inspired and intuitive, probably because I’m connected to my magical child. I want to connect with her much more often. 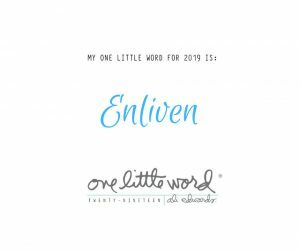 After seeing mentor’s email, I knew that Enliven was just the right word for me in 2019. So, I’m going to take this on and carry it with me. Who knows what this new year will bring? How can it be anything but spectacular with this One Little Word by my side? What’s Your One Little Word?